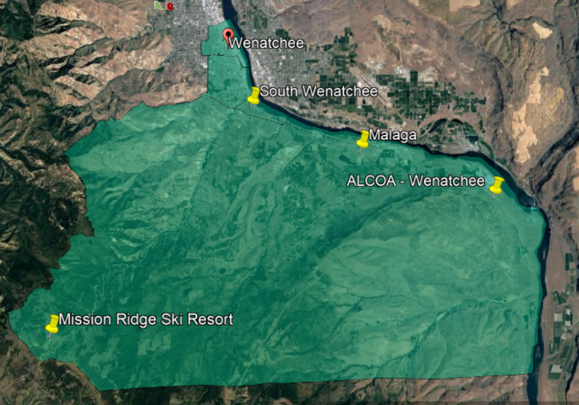 Two Chelan County Opportunity Zones are located within the city of Wenatchee and one lies in the Malaga area of unincorporated Chelan County, south of Wenatchee. Together, these zones provide all types of investment opportunities. 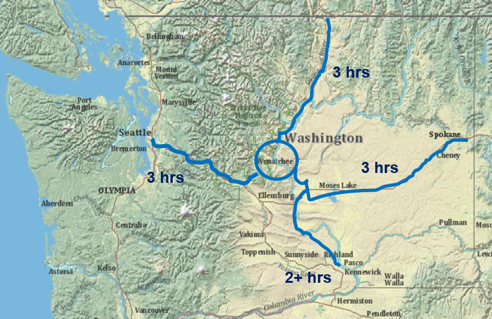 Chelan County/Wenatchee is centrally located in the State of Washington. It is a highly desirable place to live with abundant outdoor recreation opportunities a short drive away. It also boasts low cost, green hydro power, a county wide fiber optic communications network, and is served by a growing regional airport. The two zones in Wenatchee encompass much of the Wenatchee waterfront, downtown, historic industrial areas and large residential neighborhoods. The downtown/waterfront is characterized by vibrancy and energy boasting the Pybus Public Market, a new hotel, and co-working spaces. It provides urban infill and redevelopment opportunities with permit ready sites, flexible zoning, and a City interested in partnering with private development. Potential uses include multifamily residential, class A office, hospitality, and specialty retail. The Chelan County zone south of Wenatchee provides large green field tracts which adjoin the BNSF railway, boasts existing industrial parks, over 2300 acres of land surrounding the idled ALCOA Wenatchee Works aluminum smelter, and agriculture production and support services. For more information about the advantages of doing business in Chelan County, county demographics, available commercial lands and buildings, and an interactive inventory of ALL commercially zoned properties in the county, go to www.choosechelancounty.com.